Many more objects stored in a single block. The Barrels Mod 1.7.2 and 1.7.10 adds a base object game that has a similar function to a chest, but that shows a picture of what it contains without having to go to see their content as in the chest. This base object called barrel, you can upgrade to two levels that allow us to store even more items inside. To add objects we should only have the object in your hand and right click on the barrel. To collect items from the barrels, we just left clicking on them. 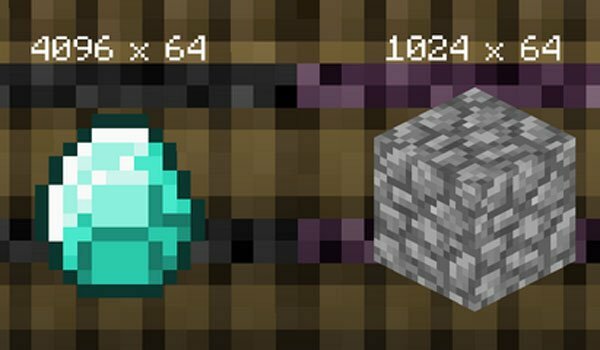 The barrel base allows us to store a stack (64 units) of any object, the “Ender Barrel” allows us to store stacks 1024 (1024 x 64) and finally the “Quantum Barrel” that allows us to store no more and no less than 4096 stacks (4096 x 64). How to install The Barrels Mod for Minecraft 1.7.2 and 1.7.10? Best location of your objects and bigger storage capacity!